The Optics labs are part of the facilities of the Athinoula A. Martinos Center for Biomedical Imaging at the Massachusetts General Hospital. They are located on the hospital’s Research Campus in the Charlestown Navy Yard. The Martinos Center is closely affiliated with the Harvard-MIT Division of Health Sciences and Technology (HST) and the Harvard Center for Brain Science Imaging Facility, both located in Cambridge, Mass. Satellite research facilities are located at the Martinos Imaging Center at MIT. 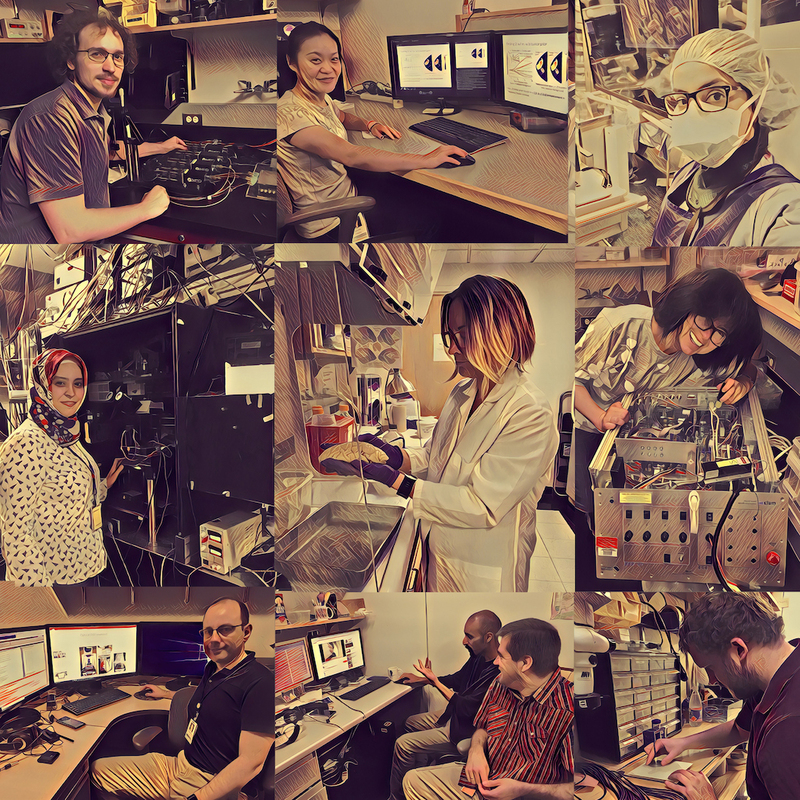 Optics @ Martinos currently occupies ~3,000 ft2 of space in the Charlestown Navy Yard, comprising 6 laboratories, faculty offices, research fellows and students cubicles and desks. If you are driving, there is a large public parking garage right across our building. Street parking in the Charlestown Navy Yard may be also possible, depending on day and time. From MGH main campus and from North Station you cat take a free Shuttle Bus to our building in Charlestown.